You've heard me mention my love affair for Suave products especially the shampoo and conditioner. I strongly believe that beauty should be composed on feeling and confidence from within and looking good on the outside helps with the feelings at times. I'm also a self proclaimed blondie for life. I mean, I will try the colors on my hair but at the end of the day blondes have more fun. lol Kidding, I just prefer lighter hair. Lighter hair often times means damaged hair. Luckily for me I've been spoiling myself and my hair with the Coconut Oil Infusion Damage Repair Shampoo and Conditioner – for the damage. It's infused with pure coconut oil, known as a natural moisturizer, and with that it visibly repairs damage without weighing my hair down. Moms, I'm speaking to you right now...You know that we always put our family first. I always say as busy as we are, life is too shorty you must spoil yourself. Often times, our only escape is a hot steamy shower. Just lock the door, and put some music on and spoil yourself. 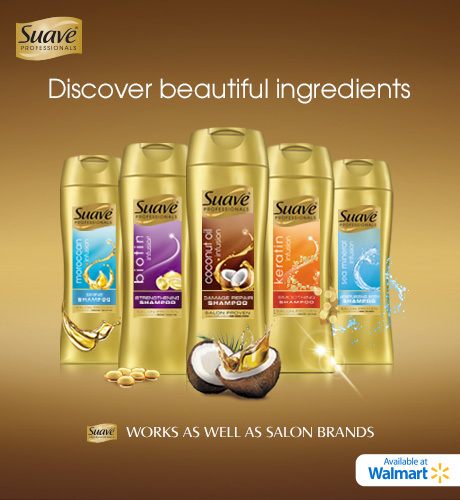 Suave has products for all hair types, its inexpensive and works just as well as salon brands and they can be purchased at Wal-Mart. 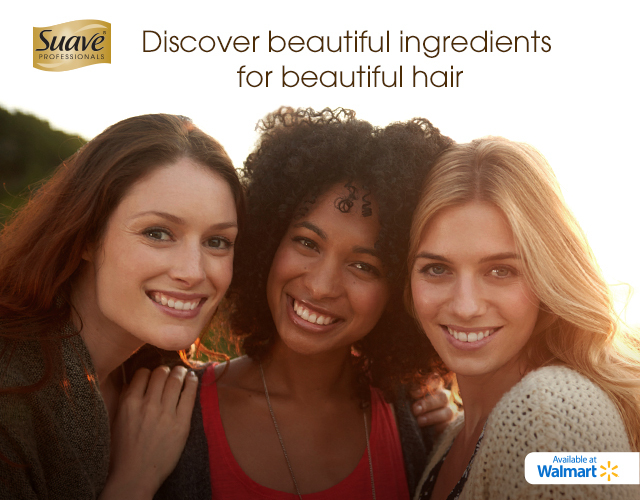 Suave has an array of beautiful ingredients all you have to do is discover whats best for your hair.